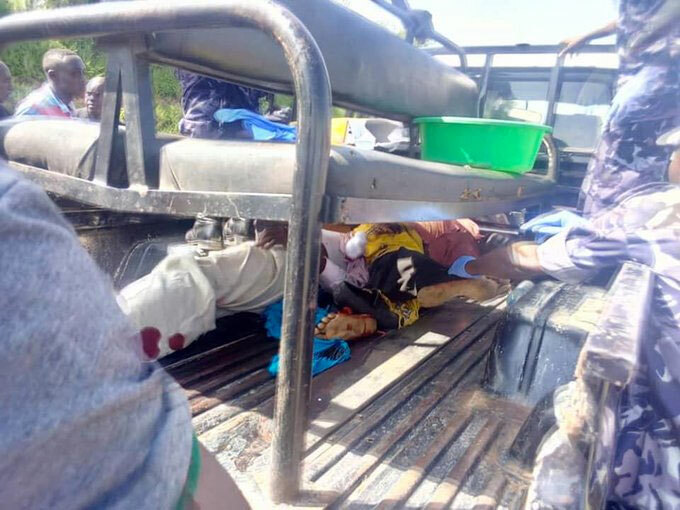 Kabula County Member of Parliament James Kakooza on Sunday cheated death after his car was involved in a fatal accident, killing a village pastor in Kiruhura District. Kakooza who is also the former State Minister for Health was headed to Mbarara when his car (Audi) Reg. number UBB 826A rammed into a motorcycle that was carrying the dead pastor. The Pastor has been identified as Enos Kishokye, a resident of Nyakahita in Nyakasharara sub-county. He was reportedly headed for Sunday prayers at Rwebitete village along the Masaka-Mbarara highway. MP Kakooza and his driver were rushed to Mayanja Memorial hospital where they are undergoing treatment. 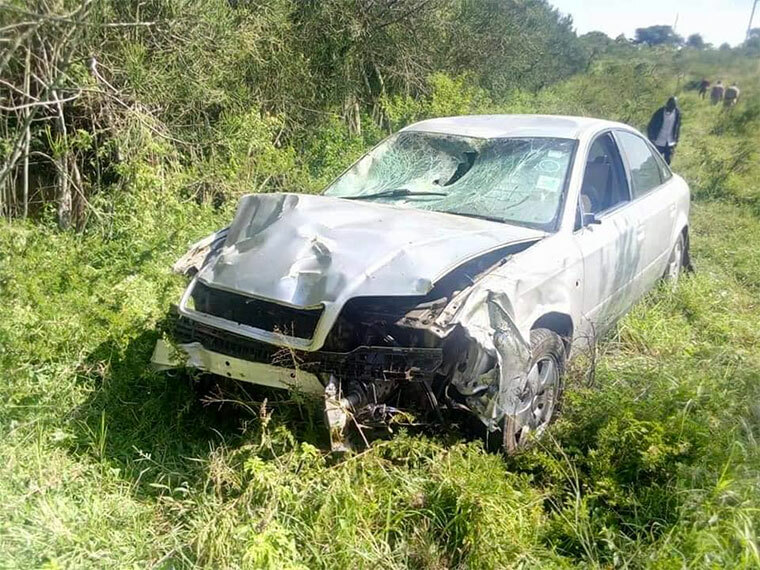 Police attributed the accident to over speeding by the legislator’s driver, saying the accident could have been avoided if the car was not over speeding. In November 2008, Kakooza survived the similar incident while traveling for burial of Insingro woman member of parliament Victoria Kyaka who died in a motor accident. His vehicle veered off the road and rolled several times. He survived with a few scratches but his then personal assistant Abel Katunguka sustained a fractured pelvis bone. 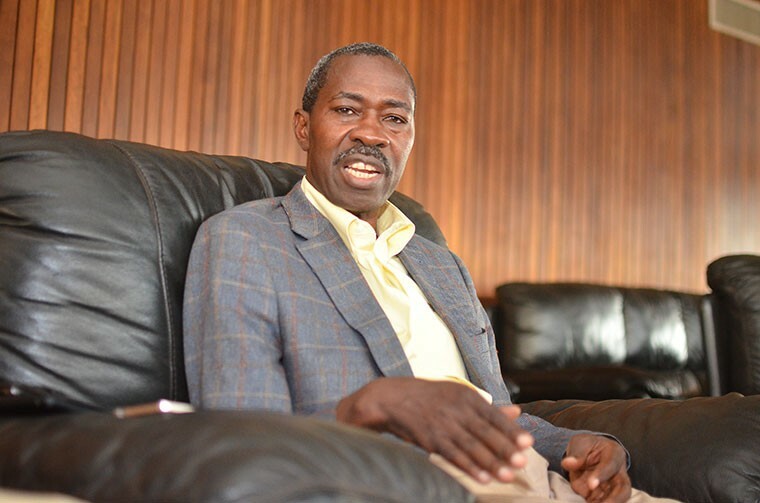 James Kakooza is a Ugandan accountant and politician. He served as State Minister for Health (Primary Health Care) in Uganda since 2009. He has been the Member of Parliament representing Kabula County, Lyantonde District, a position he has held since 2001. Dead pastor’s body being ferried on a police truck.